Many people resolve to eat healthier in the New Year. As January has come to an end, how are your resolutions going? Many people resolve to eat healthier in the New Year. 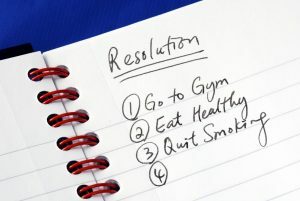 As January has come to an end, how are your resolutions going? Did you decide to start 2018 with a diet? If like many people, you did, then you’ve probably cut down on or eliminated sweet treats altogether. You don’t have to stop enjoying sweets just to stick to your diet! You can enjoy a candy or chocolate treat without blowing your diet for the day just as long as you keep a couple of rules in mind. If you really want something sweet but you’re trying to eat less candy, hard candies are a great choice. They are individually wrapped, so it’s a lot easier to only eat one or two. They are low in calories, but high in flavor. Your sweet tooth can be satisfied without ruining your diet. Like anything else in life, it is best to keep a close eye on how much you consume. If you enjoy an entire box of chocolates in a day, it will definitely ruin your diet. On the other hand, letting yourself indulge in just one or two may actually save your diet. Don’t treat it like “cheating” to just have a small treat, as this may make just make you want more. You will be more likely to stick with your diet if you build in an occasional guilt-free indulgence. If you’re looking to minimize your guilt even further, consider some sugar free sweets. Sugar free sweets taste just as sweet and delicious as their sugary counterparts, but with a fraction of the sodium and net carbs. Wockenfuss has many delicious sugar free treats, including caramel popcorn, Jelly Belly jelly beans, gummi bears, and a wide variety of chocolates. This entry was posted on Friday, February 2nd, 2018 at 3:26 pm. You can skip to the end and leave a response. Pinging is currently not allowed.